Diabetes continues to affect more men than women overall, but rates of diabetes are growing faster in women than in men. In Canada, diabetes now affects more than 1 million women, most of whom have Type 2. Past studies pointed to an alarming rise in diabetes raters in Ontario, particularly among young women. According to Dr. Lorraine Lipscombe, director for the division of endocrinology at Women’s College Hospital, these findings still hold true. This increasing burden of diabetes in younger women has broader implications for women’s health. Type 2 diabetes is associated with a higher risk for polycystic ovary syndrome, which causes absent or irregular periods and can make it more difficult to conceive. When women with diabetes do conceive, diabetes may increase pregnancy risks. “If they have diabetes when they get pregnant, or if they develop gestational diabetes during pregnancy, they may have a higher rate of pregnancy complications, which can affect both the mother and her baby,” Dr. Lipscombe says, noting that rates of gestational diabetes are also increasing. Gestational diabetes is high blood sugar that develops during pregnancy, which often resolves after giving birth. However, gestational diabetes increases the risk of developing Type 2 diabetes later in life. Diabetes is recognized as a major risk factor for heart disease for both men and women, but the impact of diabetes on women’s heart health appears to be greater than on men’s. In all populations, including populations with diabetes, women have a lower rate of heart attacks than men. However, when a woman gets diabetes, it narrows that gender gap: relative to women who don’t have diabetes, her risk of heart disease is greatly increased. In comparison, when a man gets diabetes, it does increase his cardiovascular risk compared to men without diabetes, but not to the same extent as it would for a woman. “Diabetes appears to be a stronger risk factor for cardiovascular events in women than in men," Dr. Lipscombe explains. Diabetes is also linked to increased risks of breast cancer and endometrial cancer, in addition to colon cancer. In particular, a 2015 study co-authored by Dr. Lipscombe showed that women with diabetes can be predisposed to a more advanced stage of cancer. Additionally, older studies have shown that women were much more likely to have depression, particularly those with lower incomes. The same study also stated that women with diabetes were more likely than men to have limitations on daily activities including bathing, dressing and preparing meals. Because of these gender differences, diabetes has unique health effects in women. 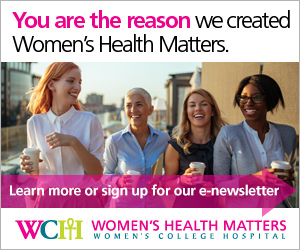 This information is provided by Women’s College Hospital and is not intended to replace the medical advice of your doctor or healthcare provider. Please consult your healthcare provider for advice about a specific medical condition. This document was last reviewed on: November 16, 2018.